Gold held steady on Tuesday, supported by market expectations of fewer interest rate hikes in the year by the U.S. Federal Reserve, while a bounce in Chinese equities stoked interest in riskier assets. Spot gold edged about 0.1 percent lower to $1,290.80 per ounce at 0401 GMT, while U.S. gold futures were unchanged at $1,291.4 an ounce. “We will see market resistance until we see some catalyst that will give some boost to safe haven assets,” said Kyle Rodda, a market analyst at IG, Australia. Asian stocks recovered on Tuesday after Beijing signaled more supportive measures to stabilize a slowing economy, and emphasized that China is seeking a strong start in the first quarter. Meanwhile, the dollar weakened on heightened expectations the Fed will hold off on raising rates this year due to a slowdown in global growth. Market participants think that worries of slowing domestic and global growth as well as tame U.S. inflation will make Fed policymakers hesitant to raise interest rates. Markets will be keenly looking out for any progress in Brexit negotiations as Britain’s parliament will vote on Prime Minister Theresa May’s deal, which already looks set to be rejected by lawmakers. 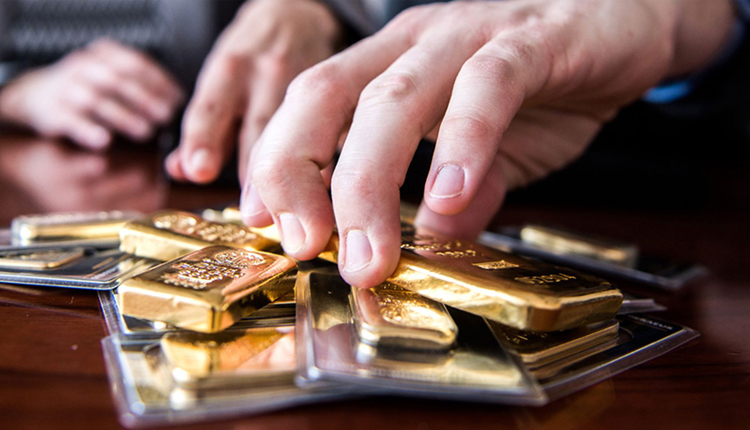 “If anything goes wrong in today’s meeting, it will be supportive of gold,” said Kunal Shah, head of research at Nirmal Bang Commodities in Mumbai, India. Among other precious metals, palladium rose 0.2 percent to $1,325.50 per ounce. In the previous session, the metal was trading just below the all-time high of $1,342.43 reached last week. Platinum was unchanged at $799.50 per ounce, while silver gained 0.2 percent to $15.68.